The Policy sets out (1) who we are (2) the information we collect (3) how we use your information (4) where we store your information (5) the lawful basis of processing and (6) the right to deletion and correction. 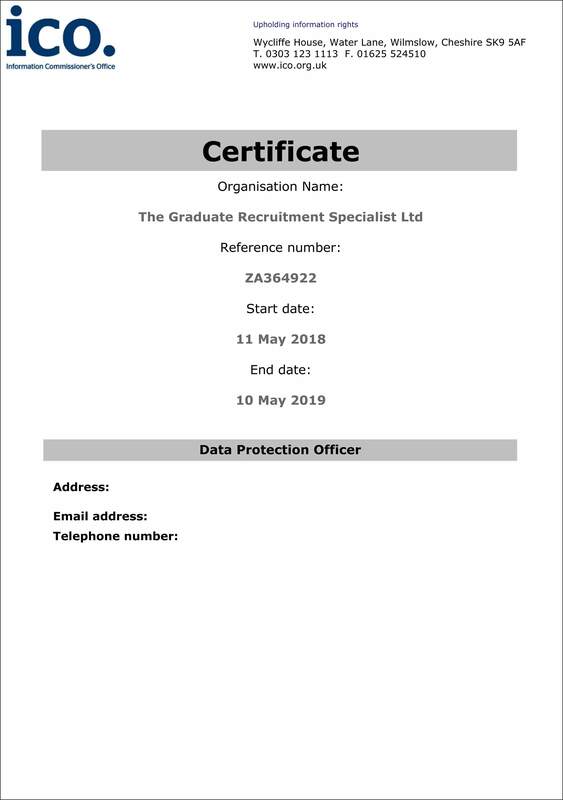 For the purpose of the General Data Protection Regulations (the “Regulations”), the data controller is The Graduate Recruitment Specialists Ltd (Company registration number 6757350) registered office is at 10a Cheyne Walk, Northampton, NN1 5PT. 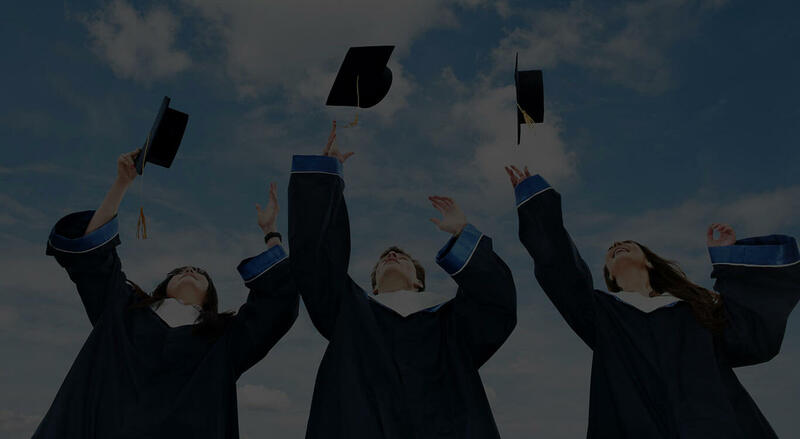 We will also refer to The Graduate Recruitment Specialists Ltd as (‘Company’, “us”, “we”, or “our”), which operates https://thegraduaterecruitment.co.uk/ “the Site”. The users of our Site and other business or personal contacts that we deal with as customers or suppliers are referred to as ‘you’ or ‘your’. The majority of the data that we collect and store will be business data relating to the businesses that we are dealing with and contracts that are being undertaken. 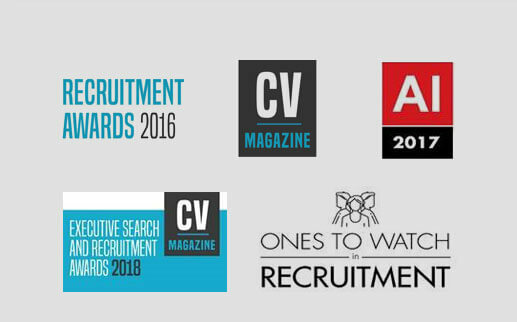 However, as recruitment consultants, we will, of course, hold personal data regarding candidates and their placement. We may also hold personal data for prospective contacts and customers, such details being obtained from publicly available data or third-parties. As part of our business and marketing processes, we will process limited personal data to include your name, email address job title, IP address, mobile phone number (where applicable). In addition, for candidates, we will process details regarding your job history. Your domain name and e-mail address are recognised by our servers and the pages that you visit are recorded. We shall not under any circumstances divulge your e-mail address to any person who is not an employee or client of ours and who does not need to know, either generally or specifically. We use your personal information to provide you with our recruitment services and to keep in touch with our contact base. We are aware that candidates and clients will also be accessing our website and that by accessing the Site, you agree to the collection and use of information in accordance with this Policy. b. To carry out our obligations arising from any contracts entered into between you and us. c. To provide you with billing information in relation to our Company. e. To notify you about changes to our Company. f. In a collective way not referable to any particular individual, for the purpose of quality control and improvement of our site. Google Analytics is also used to track website trends without identifying individual visitors. The cookie used by Google Analytics stores information such as what time the current visit occurred, whether the visitor has been to the site before, and what site referred the visitor to our Site. We take all reasonable steps to ensure we have the correct Personal Information on you. You have the right to ask us for a copy of the information supplied by you that we hold. We may ask you to verify your identity and for more information about your request. If you would like to make a request for information, please contact Christine Newman. You also have the right to ask the Company to stop using your information. However, if this involves a request for deletion of emails or documents you have sent we may not be able to do so, particularly as we need to keep emails and document for a minimum period of 6 years, to comply with limitation periods for contracts as well as our recruitment compliance of keeping candidates personal details for at least 5 years. a. All information you provide to us electronically is stored on our secure servers. We use industry standard security and firewalls on our servers. b. Hardcopy data is stored in a secure location on our site or held in a secure archive facility. c. We maintain physical, electronic and procedural safeguards in connection with the collection, storage and disclosure of your information. d. Only authorised personnel and contractors have access to your information. e. We will personal data secure by taking appropriate technical and organisational measures against its unauthorised or unlawful processing and against its accidental loss, destruction or damage. While we strive to protect your personal data, in light of the inevitable risks of data transmission over the internet, we cannot guarantee full protection against any error occurring during the course of personal data transmission which is beyond the Company’s reasonable control. By submitting personal data to us, you consent to our use of your data and of anyone you represent in the manner set out in this Policy (as amended from time to time, as described below) and you are responsible for ensuring that you have authority to consent on behalf of anyone about whom you submit data to us. You can revoke any consent you have given us under this Policy at any time by contacting admin@thegraduaterecruitment.co.uk , referencing this Policy in the email subject line, using the body of the email to say what consent you are revoking. We reserve the right to update or change this Policy at any time and you should check this Policy periodically. Your continued use of our business after we post any modifications to this Policy will constitute your acknowledgement of the modifications and your consent to abide and be bound by the modified Policy. If we make any material changes to this Policy, we will notify you either through the email address you have provided us or by placing a prominent notice on our Site.